My name is Basdeo Mangal. "When I arrived in America here I said to myself that I'm finished with this type of worshiping." When I arrived in America here I said to myself that I'm finished with this type of worshiping. But I went to the school to pick up my grandson and the lady had her granddaughter sick. Very sick. She is on bed. She went to all the doctors, hospitals, and she couldn't get help. So when she see me at the school she asked me when I come to this country. I tell her I only came last week into this country. And she started praying and asked me that we can go to her house and see her granddaughter. And when I go I see her granddaughter sick and she's on the bed. I prayed to mother and I put my hand on her forehead and she opened her eye and after she opened her eyes I tell the lady that your granddaughter is going to live. When I arrived in this country I wanted to go back next two days or three days, because I don't know anybody over here, I don't know who to talk to, how to go and my daughter didn't have a place for me to pray and do poojas every morning. When I wake up I bathe, I pick my flowers, I go to my altar, and I pray. Well then, when I said I want to go back, she cleared out her attic and make her attic a room of prayer place for me and I went and I buy pictures and I put them there and I started praying. I didn't want to stay in America because I don't know where to go, who to talk to and what to do. It looked like a foreign place and it looked like a different place, because in our part some of the houses are same and the street you walk, you know, is different. Yeah, it's different. Q: So when you first came here was somebody waiting for you at the airport? Yes, my daughter and my son-in-law was waiting for me at the airport. Q: And were you happy to see them? Well I was happy to see them. And I feel happy to come to America. But when I came and I see what is America I don't want to go back to Guyana because, you know, you're meeting with different type of people. You're not only meeting with Guyanese alone. 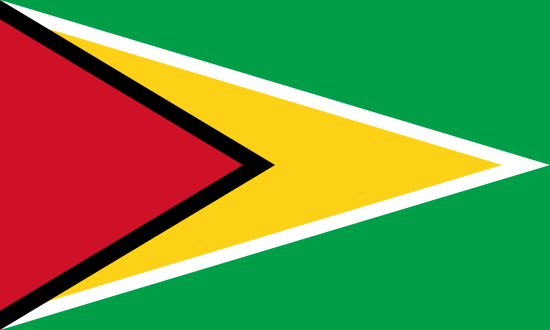 Like when you live in Guyana there are two type of people you meet, you meet Indians and you meet Africans. But here now you meet white, you meet Chinese, you meet Portuguese, you meet Spanish and all types of people.